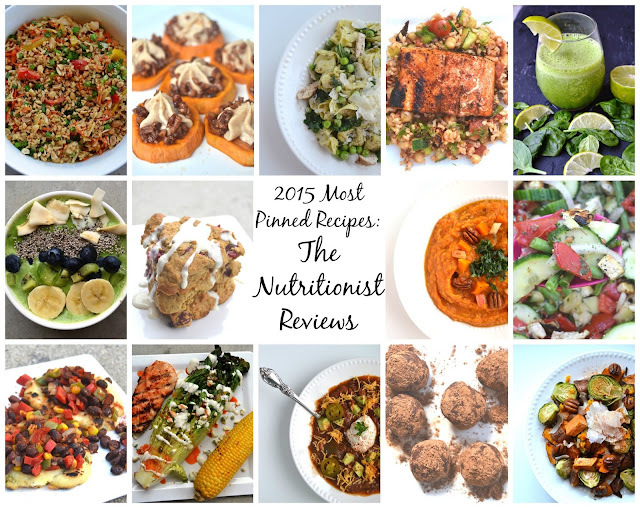 2015 was a huge year for recipes on The Nutritionist Reviews. In fact, I created 94 recipes this year. Wow! I love recipe development so much and have a passion for healthy cooking and am so excited to be able to share all of this with you. These are the most pinned recipes from The Nutritionist Reviews this year. So there you have it! The top recipes of 2015. I have so many fun ideas for next year and cannot wait to share them with you.